Our Father in heaven Hallowed be Your Name RUACH HAGALAH Spirit of Revelation Eph. 1:17 Thy Kingdom come. Thy will be done. On earth as it is in Heaven. Lord, we declare, this is the day for Your Kingdom to be established in our nation, and we thank You for the power of revelation, anointing and of Your grace in our lives. We declare You are calling all Your people to be ministers, in churches and in workplaces, in families and in communities and we bless them in the Name of Jesus. We declare we will represent a new level of authenticity in the natural realm and exercise a new level of authority in the spiritual realm. 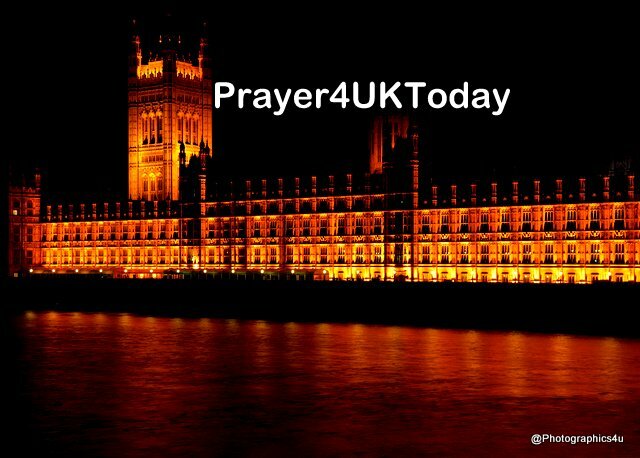 We stand as the Ekklesia and in the Name of Jesus, we call forth the strategies and purposes of heaven over every issue facing our Government, including all matters concerning moral righteousness, the Cabinet, Brexit negotiations, trade, finance, freedom of movement, and Home affairs. We declare they will be seen, heard and understood by all those called to policy making at this time.